Assaults on nurses in the workplace are nothing new, and there isn’t a nurse or care worker alive who hasn’t experienced some sort of physical violence or abuse from patients in their place of work. 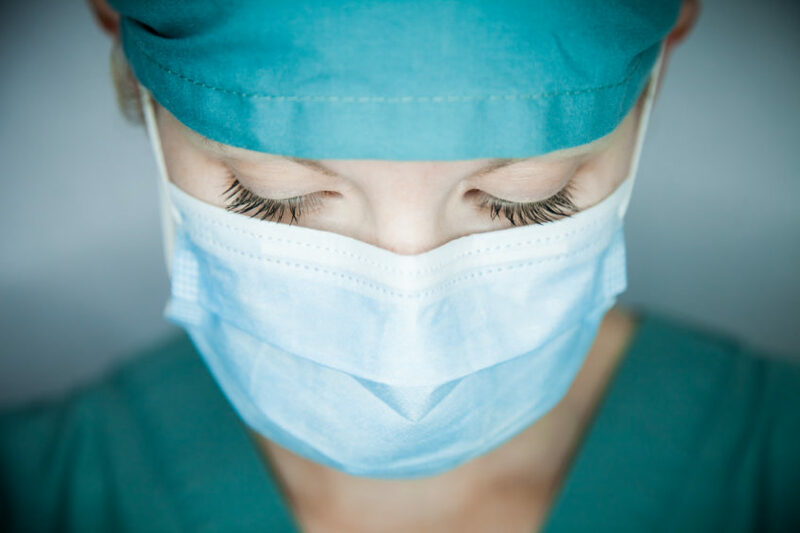 For staff in healthcare facilities, the threat of violence and injury is pervasive – 76 percent of all nurses experience verbal and/or physical violence, and 75 percent of 25,000 workplace assaults reported annually occur in healthcare settings. In PEI, workplace violence has become the number one issue in healthcare, according to its Union of Public Sector Employees. Here in B.C., a nurse is more likely to encounter violence on the job than a police officer. Hospitals, nursing homes, long term care facilities and other types of healthcare facilities are some of the most effected workplaces when it comes to the violence against staff and nurses – and this type of situation appears to be getting worse. In early March 2019, a nurse was attacked by the husband of a patient in Moncton, New Brunswick leaving her seriously injured. The attack went on for 11 minutes behind closed doors before security intervened. When help did finally arrive, the attacker was found holding the nurse by her throat. Allegedly, he was upset that his wife had been transferred from her room to an area closer to the nurses’ station because she was suffering seizures, but the fact remains that anything could have happened to the nurse in those 11 minutes. No charges were laid against the man, while the nurse was transported to the emergency room and treated for a brain contusion and a broken nose. It was the stuff of nightmares. There’s no doubt that the environment that nurses and carers work in, with much higher levels of people-to-people contact under stressful situations than a regular office space, make them vulnerable and susceptible to episodes of verbal, and potentially physical, abuse. Yet it should never be okay for a member of staff to feel intimidated or threatened, and solutions need to be put in place to ensure the safety of staff members. Workplace violence prevention programs are in place in healthcare settings but aren’t always a quick enough solution against physical threats. More than 90 percent of hospitals say that they have systems and programs in place for managing staff safety, but these are often limited paper-based programs that aren’t effectively implemented and don’t necessarily deliver an immediate safe solution as, and when, the violence occurs. This can mean that healthcare organizations stand to lose tens of thousands of dollars for even one single serious staff injury and continue to offer unsafe environments for its caregivers. So, what can they do to better protect healthcare workers at all times? The most effective solution for protecting the well-being of healthcare workers is one in real-time that helps nurses feel safer and one where they can alert others for help faster. GuardRFID’s Staff Duress solution delivers the most advanced real-time duress call system available to healthcare workers. A member of staff who feels that a situation with a patient or a visitor is about to turn violent can send out a discreet call for help by easily pressing the panic button on their personal staff tag in a Code White situation. The alert is then sent in real-time to the designated security manager who can instantly locate the employee under duress and an immediate response can be provided to such an emergency. Our recently-launched Personnel Tag (PT-3), a small and lightweight wearable RFID tag with a user-activated push button, can easily be pressed by nurses to generate an alert. Combining its exceptional push button feature with superior real-time situational awareness, comfort, sleekness and ease-of-use, it delivers real-time safety to staff in hospitals and long-term health care facilities, and the system designed to give you and your staff assurance that they can communicate and call for help at a time of crisis, and eliminate critical delays when that help is needed. Our Staff Tag – a compact, lightweight personal device – also allows employees to instantly summon help, be quickly located on a monitoring station floor plan, and then receive acknowledgement that help is on the way. 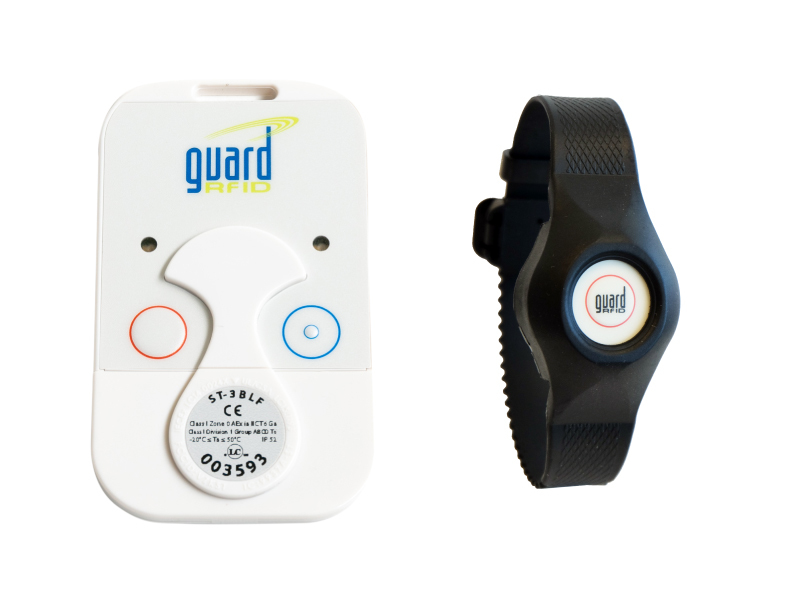 To learn more about the fastest-responding real-time staff safety system on the market, visit https://www.guardrfid.com/healthcare-rtls/staff-duress/.